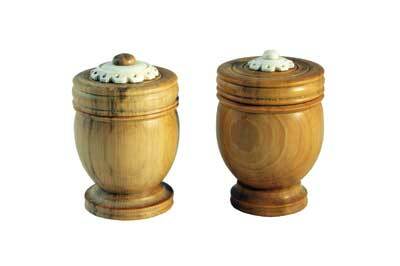 My first contact with Bill was through his articles in Woodturning in the 1990s. I enjoyed reading them, especially for Bill's gentle humour, but my unfamiliarity with the tools and techniques made the work distant. Seeing him demonstrate for the first time opened my mind. I was probably in danger of thinking I knew everything, but watching Bill showed me just how little I knew, as he adeptly produced small masterpieces at remarkable speed. Bill is largely responsible for reintroducing turners to thread chasing. It took me years to master, because I kept giving up. But, once mastered, what an useful addition it is to one's skills - how it enhances one's work. I like to think that the addition of threads and some other little touches learned from Bill have greatly improved some of my spindle turned pieces, as well as my boxes. As time went on I got to know Bill and to count him as a friend. I was honoured to demonstrate alongside him; to visit his workshop and watch him at work - and I thought my workshop was untidy. As another turner put it, "It is a room full of stuff with a Bill shaped gap in front of the lathe." It would be a gift to future generations of turners if Bill's equipment could be re-assembled at a museum, but that seems unlikely. What Bill has given us - in his writings and demonstrations - is an insight into a world that has largely gone and which would have been largely forgotten without him; a world between plain and ornamental woodturning, where highly skilled but unlauded and unassuming craftsmen quietly plied their trade. He produced work of wonderful quality on ordinary equipment and with fairly basic tooling. Bill was largely responsible for reintroducing the point tool and the arm rest to the mainstream of turning; and his writings and drawings have preserved many techniques which could easily have been lost. Bill was always very generous with advice and ready to talk through techniques. My favourite memories of Bill? Watching him demonstrate; listening to his stories whilst driving him to and from shows and laughing over a glass of red wine with him and Bert Marsh after a day's demonstrating at the Axminster show. I once looked up at one of my demonstrations to see Bill fast asleep in the middle of the front row - I have a photograph to prove it! 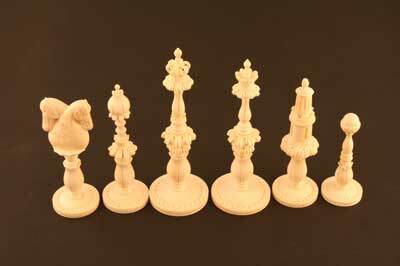 I also well remember, and shared, Bill's bewilderment when a member of the audience - Bill was making a complex traditional multi-parted ivory chess piece - asked why Bill didn't make it all out of one piece - talk about missing the point! Woodturning in the UK has witnessed the sad passing of two of its elder statesmen and most skilled and respected practitioners in a very short period of time. At the opening of the recent 13th AWGB International Woodturning Seminar, it was the faces of Bill Jones and Bert Marsh that were projected on to the giant screen. When Reg Hawthorne, the AWGB's Chairman, asked for a round of applause instead of a minute's silence the response was tumultuous. Both were held in such high regard by all those in attendance; both had been Honoured Guests of the AWGB in the past and both had been awarded Life Membership. Much of what follows here on Bill I wrote in the present tense back in February; this was for the RPT stand at Alexandra Palace where a display of his work was mounted in his honour to celebrate his 90th birthday. Anyone who knows the world of turning couldn't fail to have heard of Bill Jones; he became a legend in his own lifetime, many years ago. His unique demonstration skills and ability to communicate through both the written word and verbally endeared him to us all. Most of Bill's work was from another era, as were many of his techniques. Many of the skills he used and demonstrated are now a lost art; he could pretty much make anything held in one of his chalked jam chucks and join anything together in a blink of an eye, with threading. He was a third generation hardwood and ivory turner; in times gone by you could put that on your business card, but it would not be so advisable today. I personally met Bill around 1990; I had been aware of his writings and work way before then. In a way Bill was born 20 years too late to take total advantage of the blossoming interaction of the international turning scene. His unique talent could have seen him tour the world if had wished to. Watching Bill at work is like a magic act, his deft skill while hand thread chasing always had the wow factor. I well remember USA's Bonnie Klein's jaw dropping in awe as Bill wove his magic at his first AWGB Seminar. He took to demonstrating like a duck to water, he was in his element, he came to life, just like Ken Dodd does on stage. Dale Nish once asked me if I could persuade Bill to travel to Utah to demonstrate. I phoned Bill, he was flattered of course. He informed me he had never had a passport; I left him to mull it over, knowing he was apprehensive. The next day I had Reg Sherwin on the phone saying Bill had had sleepless night thinking about it. I phoned Bill and said if it helped I would travel with him, if he wanted to go, but in the end he decided to decline. A year or two later he was off, with his good friend Alan Batty as his minder. He had a great time; he went a number of times through the 1990s. He not only amazed them with his turning skills, but his selection of Hawaiian shirts really got their attention. In the UK he loved the seminars and the wood shows, particularly the Axminster show, where convivial camaraderie was at its height. It all seems very ironic to me that for a number of years I often chauffeured Bill and Bert between our hotel and the Axminster Show. On one occasion Bert suggested to Bill he ought to give me one of his pieces for driving him back and forwards to the show. Bill said that I wouldn't want one, but Bert tried to tell him otherwise. For three years Bill always gave me a piece from his demonstrations. I also own a non-demo piece I bought from him which I treasure. At the recent AWGB Seminar Banquet Auction I donated one of the demo boxes which Bill had given me. This raised the goodly sum of Â£120, which will go into the Youth Training Fund, which to my mind, seems most appropriate. I always felt an affinity with Bill; this wasn't surprising once he told me various things about his life. I was born during the Second World War; Bill spent much of it only six miles away from my home at Honiley Aerodrome. His father, Bertram, lived only two miles away from where my wife and I have lived for the past 38 years. I never met his father as he had died two years before we moved into the area. It's a small world and is little wonder I felt an affinity. I will finish with a final bit of irreverence; Bill in latter years could fall asleep on a clothes line. He would often come and sit in the front row of your demo. It wouldn't be long before he was fast asleep, I would let this go a while but making the audience aware of the happening. Once engaged I would loudly address Bill with, "Isn't that right Bill, or what do you think Bill?" startled he would come round to the great amusement of us all. All Great fun! You only do things like that to those you have the utmost respect for. Bill Jones was a UK living treasure; they broke the mould when Bill was born. We will miss you, Bill.